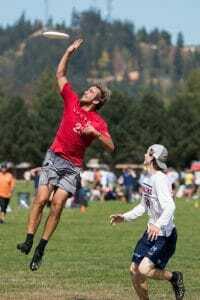 Ultiworld’s 2017 Men’s Club Awards are presented by Spin Ultimate; all opinions are those of the authors. Please support the brands that make Ultiworld possible and shop at Spin Ultimate! With Nationals over and the winners crowned, it is time to take a moment to recognize the top performers in the Men’s Division this season. While the talent of the division reaches far beyond short lists, the All-Club teams are meant to honor those players who put together the best seasons in the Men’s game this year. There were moments this year—at Nationals and elsewhere—when Andrew Carroll looked he was playing with the turbo-button pressed deep into the controller, zooming sideline to sideline, zipping resets and gainers to teammates, and barely stopping to uncork giant throws to Cam Harris. Even in prequarters against PoNY, with first-team All-Club selection and ace defender Chris Kocher in pursuit, it was tough to slow him down. As change swept through GOAT’s ranks, Carroll really looked the part of a field general, marching his team through a difficult Pool C at Nationals and into the bracket, creating space with both his throws and his blistering cutting. This is Carroll’s first appearance on an All-Club team. Anything other than a return to the final (or perhaps even another title) was going to make 2017 feel like a down year for 2016 champions Boston Ironside. Questions mounted this year as injuries slowed Kurt Gibson’s return to the team during the regular season. Then Gibson was back, and in a flash, Ironside was back in contention. They were peaking as a group, ramping up into Nationals with a decisive Regional title. And when the tough got going in Sarasota, Gibson was his old self —now approaching the moment when ageless becomes a valid description of his play. Facing a deficit against a red-hot D.C. Truck Stop in quarters, Gibson stayed on the field point after point, breaking a sweat but not losing a step. By tournament’s end, he was flush with goals (15) and assists (19). Ridiculous. He was No. 3 overall in goals and No. 2 in dimes across the division. His usage rate was as high as ever (see his 11 turns), but his evolving chemistry with Ironside’s Josh “Cricket” Markette continued to impress as they dissolved defenses together. As the long seasons and deep runs have mounted, the game has slowed down for Gibson. This is his second appearance on the All-Club Second Team, to go along with two-first team appearances. After a very productive 2017 season on the field, some staff were starting to wonder with Washington D.C. Truck Stop’s Rowan McDonnell couldn’t do. Truck’s goals leader at Nationals (12) also tossed in nine assists, appearing just about everywhere on the field that his All-Club First team-er teammate Nicky Spiva couldn’t. McDonnell has a side hustle going with his own throwing video series, but while his throws got the clicks this year, his cutting brought him the honors. At 28, McDonnell’s hitting his prime—he’s a multi-tool downfield player who made space where there wasn’t any and finished the play for Truck Stop when they needed scores. He played bigger than his 6-foot frame and made sure the team stayed clicking this season when star handler Alan Kolick when down at NY Invite. Keep your eye on McDonnell—this is his first year on the All-Club roster, but it’s unlikely to be his last. 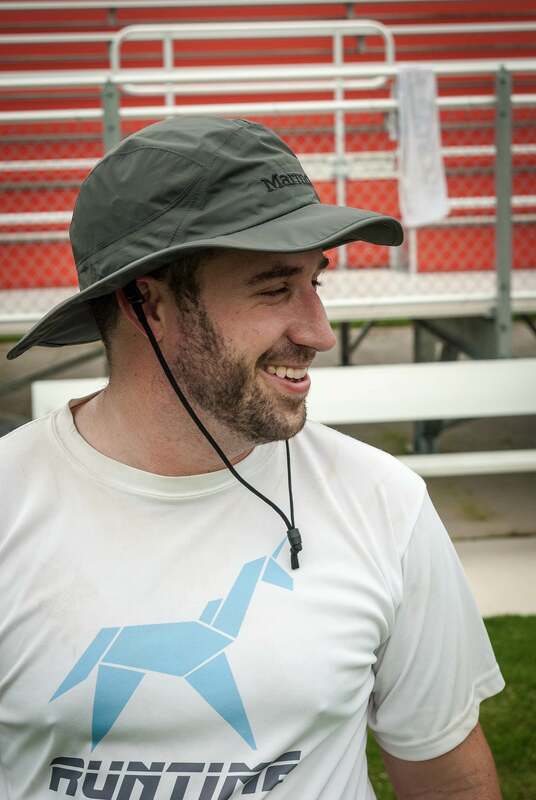 After a long year—AUDL play, a gold medal at the World Games, and little to no break after a deep run to semifinals in 2016—Denver Johnny Bravo’s Jimmy Mickle still landed himself in the top five assist-getters at Nationals, acting as the team’s go-to release valve and deep target. 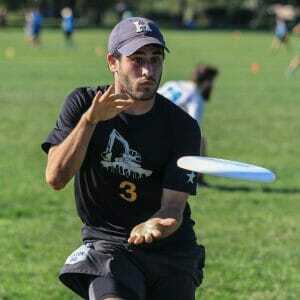 At times, last year’s Men’s Division Player Of The Year had a Westbrookian-level of usage in spite of the high profile additions and returns this year, but, strategy or no, Mickle showed off his immense talent and value this year. Few players in the division (other than Gibson, perhaps) have the same control and free reign of the field. 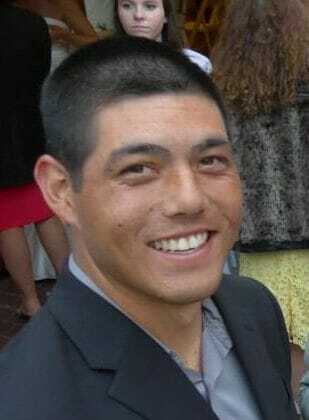 Bravo’s vertical attack has often needed an IV-drip of Mickle’s versatile looping flicks and inside breaks to score. But with Lance playing backfield general, Mickle was also able to return to the deep space and reel in deep passes. As his talent looms larger, so does the target on him—some of Mickle’s most impressive moments were in the air this year, as he shook off multiple defenders to make critical plays. 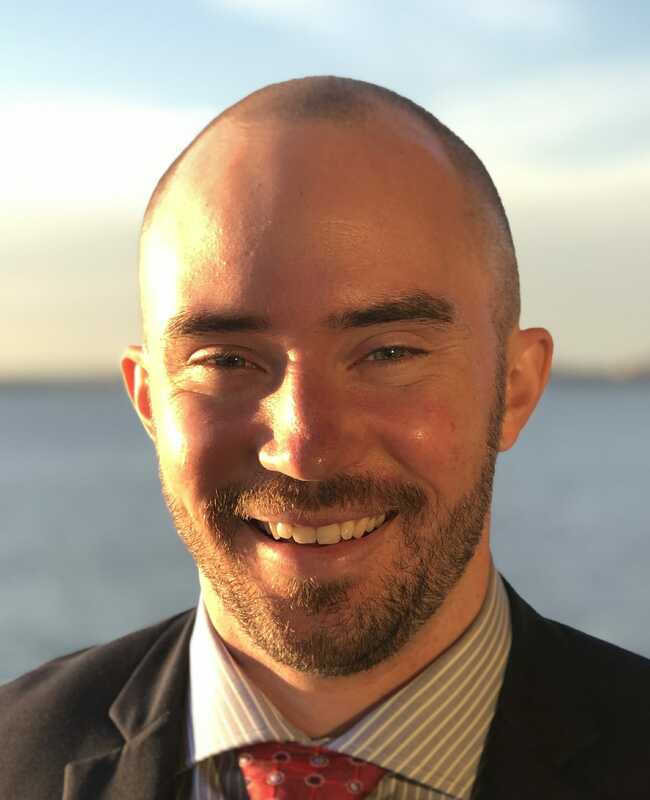 Two years removed from his own Player Of The Year honors, Cassidy Rasmussen left the vaunted San Francisco Revolver O-line and went to the D-line full time. The 2017 Champs got their title with the responsibilities spread out amongst their incredible depth, but Rasmussen’s move to the D-line (along with former O-line teammates Eli Kerns and Christian Johnson) felt easy and natural. Using his strength and athleticism to smother his marks downfield, Rasmussen was back to his effective self after the turn. The O-line experience added even more edge to the deadly Revolver D-line—one of nearly three that the champs could throw out for any given point to get blocks and breaks. There were few moments when the defense got stuck holding the disc looking for the next pass, especially with Rasmussen able to get open in any space that his team needed in. Whether sending big throws down the line or skying to snag the tailing edges, Rasmussen was back to his excellent self in a banner year for his team. Just a couple years ago, Ben Sadok was an undersized handler at UMass that had a plus scoober. 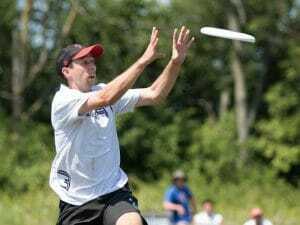 He might still be undersized, but his game has gone exponential: he led Boston Dig back to Nationals as the focal point of their offensive attack. Sadok started to blow up last summer, in Dig’s first season, as he was a key part of the team’s surprise run to Nationals. But, much like UMass in 2016, Dig was Jeff Babbitt’s team. With Babbitt graduated from UMass and sitting out most of the club season as he coached New York Bent2, Sadok became the take over player we saw throughout 2017 as he won College Player of the Year and is now selected for his first All-Club honors. 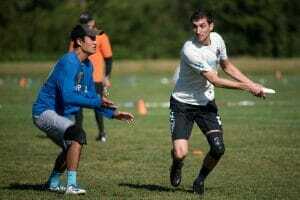 Sadok has uncanny power for a player his size, able to launch throws from both sides at a multitude of release points. His speed also catches defenses off guard: he does a lot of goal scoring as a deep cutter by releasing from the backfield at just the right moment. He had 15 assists (7th at Nationals) and five goals in Sarasota as he continued to show off his growth as one of the game’s most promising young handlers. On a Ring of Fire team filled with stars, Jack Williams still found a way to stand out. Playing with the Men’s Division player of the year, Williams was not just a compliment on offense but a force on both sides of the disc. Williams’ ability to make game-changing plays has somehow grown in the past few years, but huge skies and layout blocks are only part of what makes Williams so special. Despite Goose Helton, Brett Matzuka, and Jon Nethercutt all out on the field alongside him, there were times where Williams was the number one offensive threat. He finished the tournament with nine goals and 12 assists, second for Ring of Fire in both categories. After receiving runner-up player of the year honors in the college division this year, Williams has officially become one to watch in the club scene. He’s no longer “great for his age” or “great for just an athlete,” he’s just plain great. 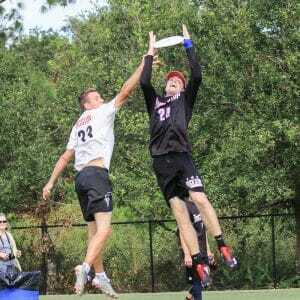 Comments on "Ultiworld’s All-Club 2017: 2nd Team (Men’s), Presented By Spin Ultimate"